Franchisors have black and white legal requirements to their franchisees - but do they have a wider moral obligation to them and their staff? Revelations by Fairfax Media and the ABC’s Four Corners program of 7-Eleven franchisees manipulating employment records and underpaying staff are now being investigated by the Fair Work Ombudsman. 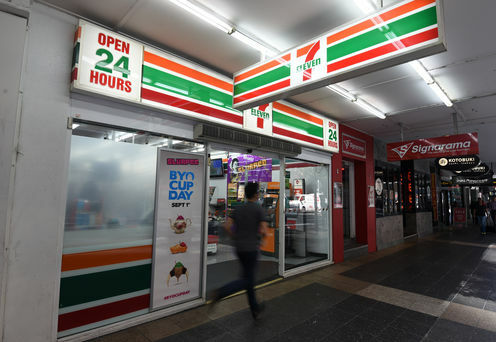 The 7-Eleven franchisor has also announced its own independent review headed by former ACCC chairman Allen Fels, to examine the claims, but further media reports have detailed “town hall style” meetings of franchisees and plans of a potential class action. This case has put the franchising model under the public spotlight, particularly the perceived unfair financial pressures placed on franchisees and, in turn, their staff, to ensure profitable and viable businesses. Australia has one of the most regulated franchising sectors in the world. The mandatory Franchising Code of Conduct aims to provide a level playing field among franchisees and franchisors. When disputes occur, the Office of the Franchising Mediation Advisor may assist with dispute resolution. But beyond this legal framework how does a franchisor’s moral compass guide their behaviour? The common defence of franchisors facing such criticism is that the franchisees carry their brand but are independent businesses, and therefore the franchisor is not to blame. Franchisors can claim that they were at all times acting within the Franchising Code of Conduct and in line with their Franchise Agreements and disclosures. How franchisees have acted in their role as businesses and employers is really a matter for them. While this is true to the letter of the law, will it be enough when a brand is in crisis? Are there wider moral obligations incumbent upon franchisors? Should they go beyond the minimum legal requirements to show leadership in setting the direction and culture for those who are now ambassadors for their brand? Many franchisors do take this role very seriously and while providing “above and beyond” assistance to franchisees may not be a legal obligation, it does make good business sense. These franchisors pro-actively support all aspects of their franchisees’ operations, not just the core components of their “franchise system” but also the wide range of associated business tasks that a franchisee must manage. Franchise agreements are, by necessity, “incomplete” contracts to allow maximum flexibility in a dynamic business environment. Whilst franchise agreements specify the legal obligations between franchisors and franchisees and their staff of minimum workplace terms and conditions required under the Fair Work Act, the “big picture” moral obligations are harder to define and measure. But this does not mean that moral responsibility is any less important or integral to long-term sustainable success in franchising. When things go wrong at the franchisee level, it is easy for the franchisor to say that legally “it’s not my problem”. But it IS most definitely their problem in terms of public perception of their business and brand, and also on franchisee and staff recruitment and retention. By continually monitoring, encouraging and supporting franchisees, from start-up to exit, franchisors are investing in the future health and sustainability of their brand, which is their business equity. By promoting and achieving best practice at every level, they are leading with strength, integrity and transparency and creating the governance standards to ensure a robust and sustainable franchise brand. After all, franchisees place a great deal of trust in their franchisor, sometimes investing their life savings in the franchise, and so they deserve the franchisor’s respect. This commitment to ongoing leadership and education by franchisors is even more crucial in a franchise network where a large number of franchisees and their staff may come from culturally diverse backgrounds and may not be familiar with the concept of statutorily legislated minimum wages and conditions and structured workplace agreements. The question of the moral obligation exhibited by franchisors stems back to how they view their corporate responsibility, and if the core values of their business extends beyond profits to care for the workplace and personal well-being of everyone involved with the organisation. The Fair Work Ombudsman has said it expects franchisors to take more responsibility and pay greater attention to workplace compliance by their franchisees. It is also worth noting that the Fair Work Ombudsman encourages Proactive Compliance Deeds for businesses to better understand and comply with workplace laws, and to avoid more adversarial measures such as litigation. There is no legal requirement to undertake these deeds, but businesses benefit from improved training, systems, communication, self-auditing and self-resolution and set the standards of best practice for their franchisees and their staff to observe and follow. A number of franchise groups - including Retail Zoo, Dominos, McDonald’s and Red Rooster - have signed up to this program, showing there is scope in franchising to go beyond what is legally required by demonstrating a moral obligation to promoting ethical corporate behaviour and being an employer of choice.